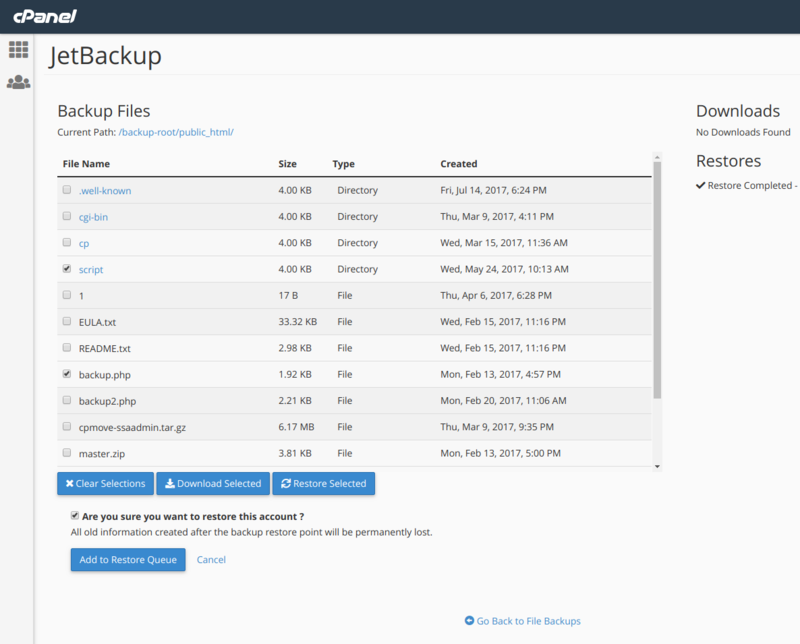 /cPanel - Control Panel /How to restore your files from backups? 2. 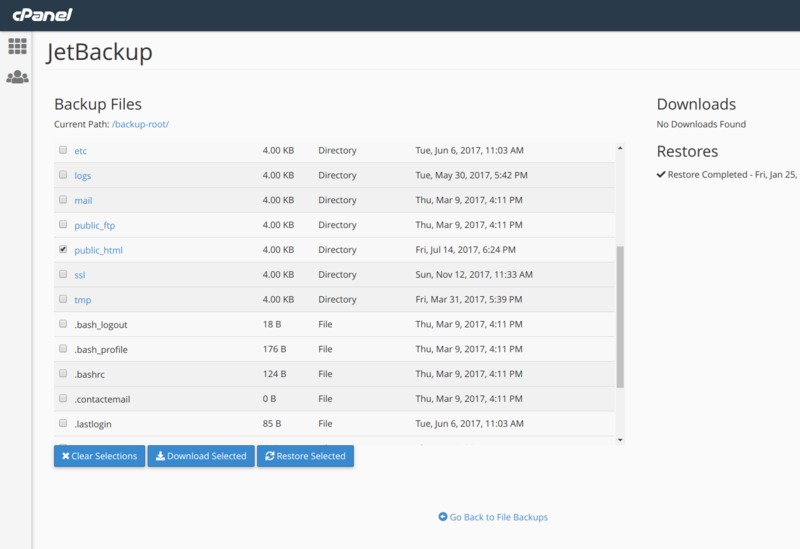 Clicking a “File Manager” link will allow using the backedup files or folders of a specific date. 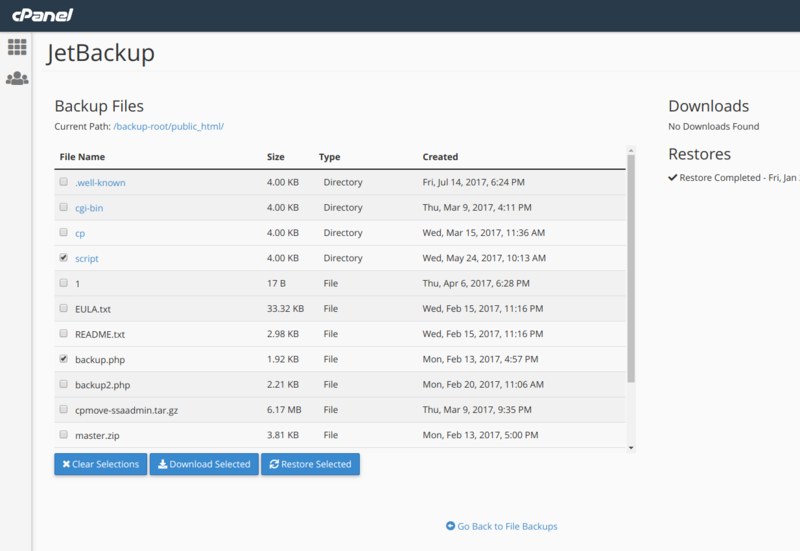 This page allows you to browse the files as you browse in the file browser and select files or folders to restore or to dowload them to your computer. 3. All the website files are present under the “Public_html” directory so, if any file or entire folder is deleted then you can restore the entire public_html or browse in the public_html directory for the specific file and then restore that single file or folder. 4. 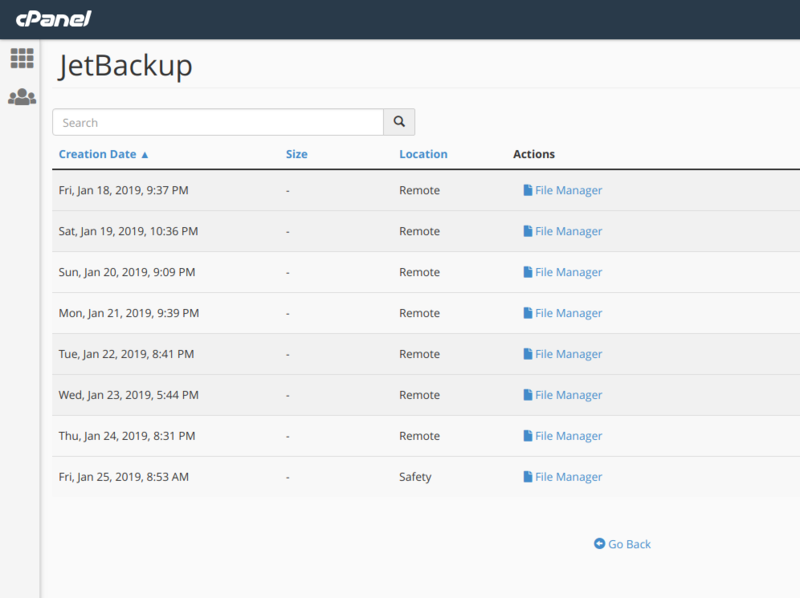 After selecting the files, click on “Restore Selected” this will ask you “Are you sure you want to restore this account ?” tick the box and click on “Add to Restore Queue” to start the restration. 5. Then go back and see the Queue to check the restoration progress.